The Federal Council submitted a draft legislation article for cannabis pilot trials for consultation. This article and a corresponding act regulates the conduct of scientific studies in the field of recreational cannabis use. The article does not affect regulations of cannabis use outside of such scientific studies. The SCRIPT study, planned by the ISPM and the CTU Bern, could possibly be conducted under this article, after its initial rejection by the Federal Office for Public Health. 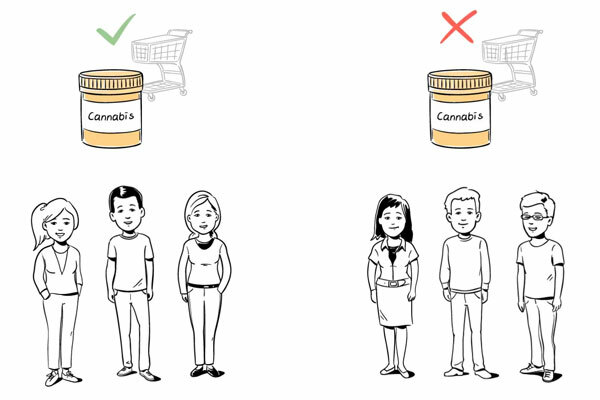 The objective of the SCRIPT study is to evaluate the effects on the consumers, the market and the society, if cannabis could be bought in pharmacies in a regulated way. Der Bundesrat hat am 04.07.2018 einen (Cannabis-) Pilotversuchsartikel in die Vernehmlassung geschickt. Dieser Artikel und eine dazugehörende Vernehmlassung gestatten wissenschaftliche Studien im Bereich vom Freizeitcannabiskonsum, ändern aber nichts am allgemeinen Verbot des Cannabiskonsums ausserhalb dieser Studien. Die vom IPSM und CTU Bern geplante SCRIPT Studie könnte, trotz initialer Ablehnung durch das Bundesamt für Gesundheit, unter diesem Artikel durchgeführt werden. Ziel der SCRIPT Studie ist es die Auswirkungen auf die Konsumierenden, den Markt und die Gesellschaft zu untersuchen, wenn Cannabis reguliert in Apotheken verkauft würde.